After spending the morning exploring San Miguel de Allende, we proceeded to Querétaro in the afternoon. 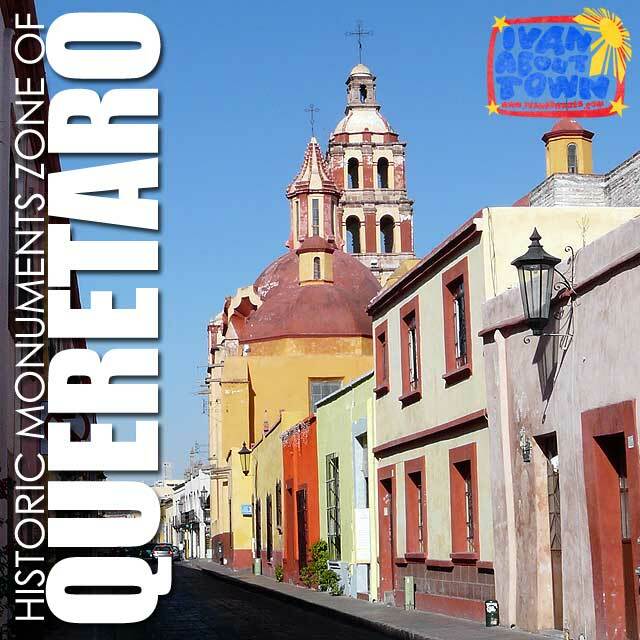 The Historic Monuments Zone of Querétaro is a UNESCO World Heritage Site. The sun was above us when we arrived and we decided to wait for things to cool down a bit before we started walking around the centro historico. So we went to the neighborhood lavandería to get our clothes ready for another round. Since it was nearing summer, days were longer. So we had more than enough time to explore later in the afternoon. 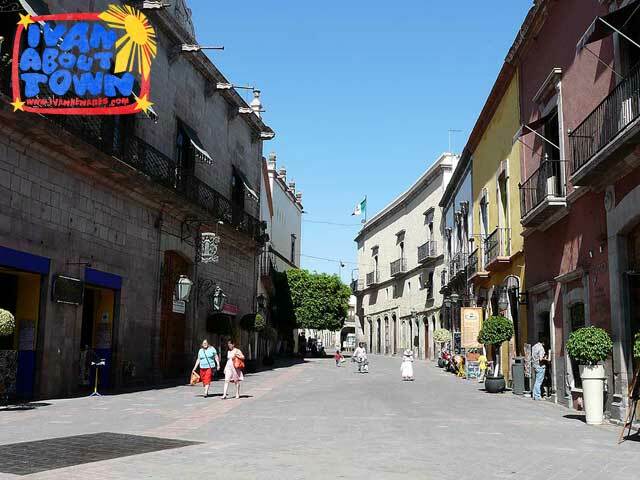 According to UNESCO, "The old colonial town of Querétaro is unusual in having retained the geometric street plan of the Spanish conquerors side by side with the twisting alleys of the Indian quarters. 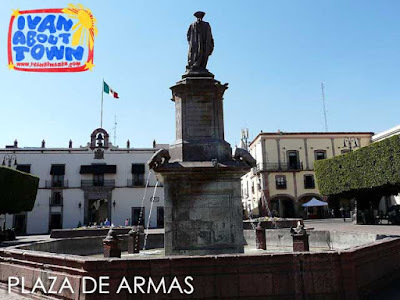 The Otomi, the Tarasco, the Chichimeca and the Spanish lived together peacefully in the town, which is notable for the many ornate civil and religious Baroque monuments from its golden age in the 17th and 18th centuries." 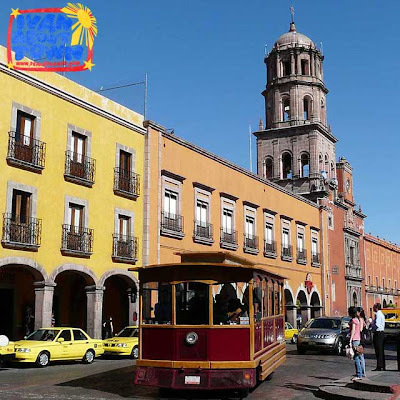 We began our walk around Querétaro at Plaza de la Constitucion. On one side is the Templo de San Francisco, which you can't miss because of its bright red orange facade. 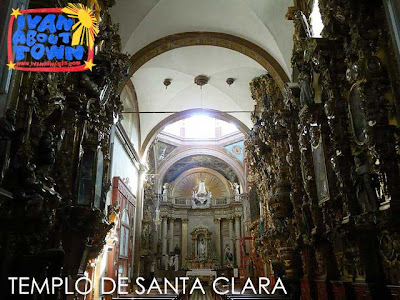 It served as the cathedral of Querétaro for two centuries. The church is decorated with tiles imported from Spain. Some of the smaller Baroque altars are still there. But the main altar was replaced with the current Neoclassic altar. 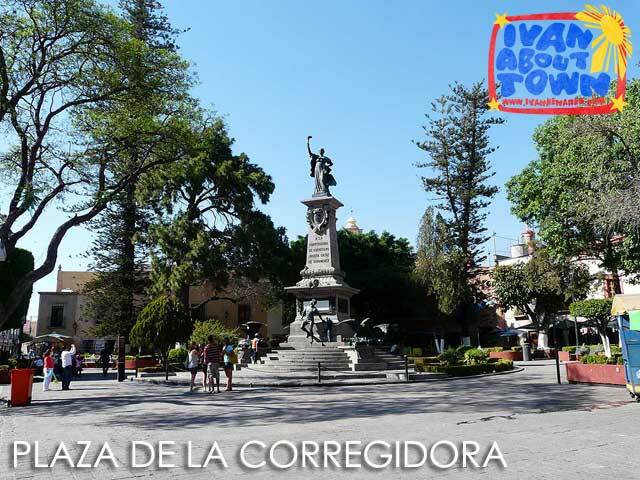 Walking along one of the streets beside the church, we found ourselves at Plaza de las Armas where one can find the Casa de la Corregidora. 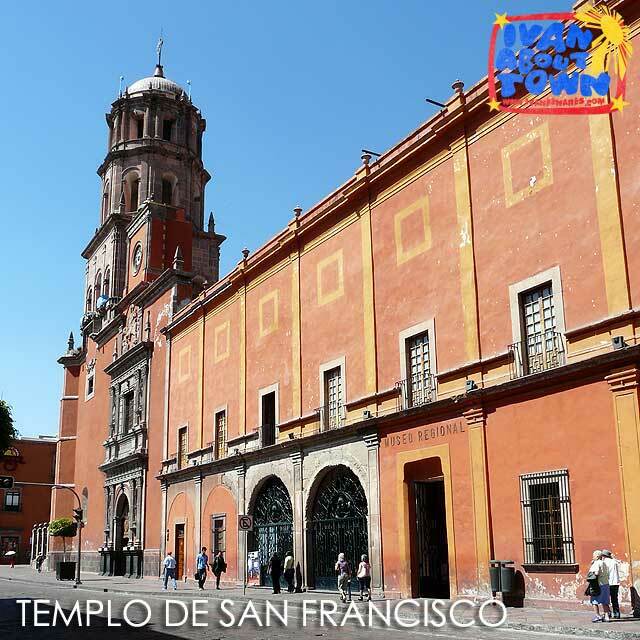 A very significant historical site of Mexico, it was in this building that Dona Josefa Ortiz de Dominguez (wife of the local corregidor), planned the initial stages of the Mexican War of Independence together with Miguel Hidalgo, Ignacio Allende and other intellectuals. For her role in the conspiracy, she was put on house arrest and later executed. Of course, like many old cities in Mexico, there are many interesting churches. 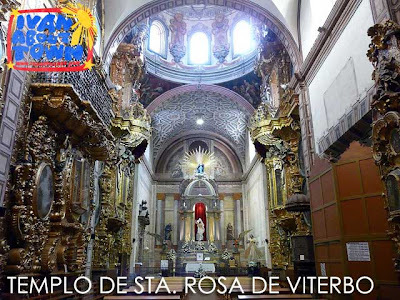 My favorites were the Templo de Santa Clara with its magnificent Baroque interior, and the Templo y Convento de Santa Rosa de Viterbo. Outside the Templo de Santa Clara, you would immediately notice its inverted flying buttresses with gargoyles and Mudejar-style cupola. Just like Santa Clara, the interior is a masterpiece of Baroque altars. Notice the pulpit with inlaid with ivory, nacre, turtle shell and silver. This is one church you've got to see when in Queretaro. I really like walking around old Mexican cities. The plazas are well-maintained and kept open. If we had more time, it would have been a good idea just to sit down in those plazas and do nothing. After we visited most of the major sites, we proceeded back to the hostel and retired for the night. We had a 4 a.m. bus to Morelia to catch. 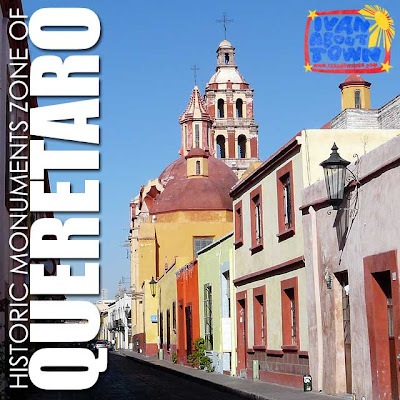 If you were wondering why it's called a historic monuments zone, the inscription includes an extensive archaeological site known as El Pueblito or El Cerrito, dominated by a 30-meter high pyramid, and situated seven kilometers from the centro. We didn't have time to get to it though. More photos in the Ivan About Town Facebook page. It's one of my favorite places in the world! I remember the first time I visited, at every corner was a new architectural delight to savour and take a picture of! What a place!